The body shop at Mac Haik Dodge Chrysler Jeep Ram prides itself on quality workmanship and top notch customer service. If we can’t help you and make you happy, nobody can. We offer competitive prices , alternate transportation and a first class attitude. 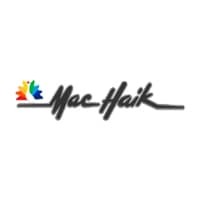 If you have never been in an accident – Ask the friendly staff at Mac Haik Dodge Chrysler Jeep Ram’s body shop to help you through the process. And let our certified technicians and PPG certified painters put your vehicle back to pre accident condition. We back all of our repairs with a lifetime warranty (as long as you own the vehicle).